I recently bought a Thunder 2 guitar and the only real problem with it seems to be that the high E saddle has been poorly replaced and some Frankenstein'ed replacement screws are on the saddles (four appear original with two different sized replacement screws). I'm not stickler to make it original, but what are my best options? Is there a brass saddle replacement, or should I just go ahead and swap out the whole thing (with what as I don't know what the specs are that compliment it)? A few photos would help with what your after. There's a couple of different styles on the same looking bridge. Depends what you want to do?? Use these but you'll need to grind down the head to fit in the bridge recess. Overall length of the screw is 18 mm, thread is 3 mm. A 16 mm length screw thread and the head will take you to 18 mm. Buy some 3 mm pickup height screws and cut them down to size. Or get one of these, good fit and a very decent bridge. Here's one on a X350 in black. The guitar in the foreground. It's so funny that a simple thing as a screw would be so hard to find. Like you said, it's not the size, its the head, the original flat-headed one being such a lovely and perfect fit in the bridge. As for the replacement saddle, I thought the one on this guitar was gold but appears to be un-notched brass, just a little shorter than the stock ones. I'll have to think on it. Wouldn't shave down 5 to suit 1. Other way around. Like you mention set it up see and how it is. Personally I'd go with the stainless screws and grind the head to fit. Least they're a slot head. I just went to Home Depot and found M3 18mm screws that work. Only problem with those replacement saddles is that they are shorter then the stock ones. It's nitpicky, but they do change the angle of the strings. Horsery wrote: I just went to Home Depot and found M3 18mm screws that work. Which replacement saddles? the odd one you have? 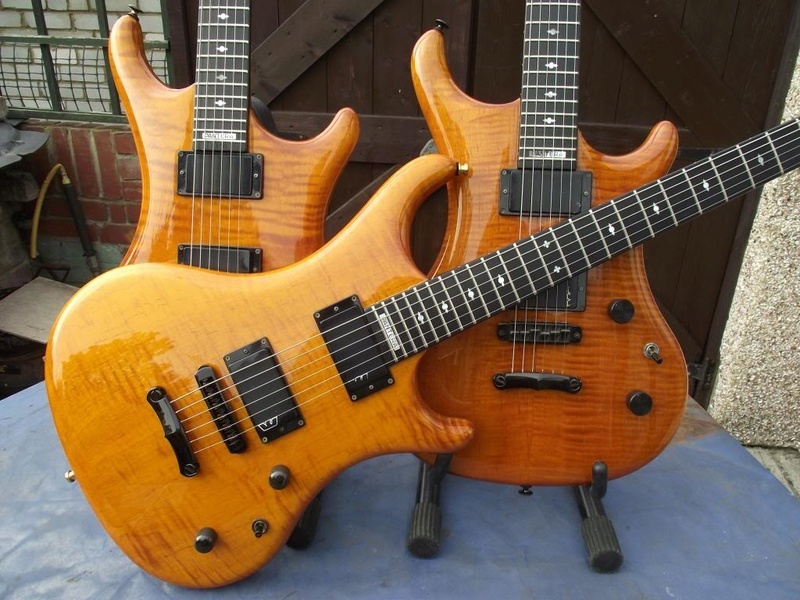 Does the guitar set up and play ok? Yeah, I forgot to clarify, the one odd replacement saddle that was on mine, which I tracked down as a set, are shorter than the stock ones Westone used. So far, (eBay, stewmac, even graph tech, etc), I cannot seem to find a brass saddle maker that matches the height of the originals. The only ones I've found just match, obviously, the screw size and the width but come up short. And, yeah, the shorter ones still should work... but if you are a stickler for how it was meant to be... that's another story. Left to right> Replacement and stock. Pic doesn't quite do it justice, but it is quite shorter. Most parts on Westones are odd sizes with no off the shelf replacements. Have one made or make one. from Stewmac were the only ones I could find that fit, but I suspect they are the same as your odd one as they are a tad short, I has 2 originals missing so replaced the whole set with these, I cut a tiny notch in each for the string to sit, raised the bridge 1mm and job's a good un! for the screws I bought a pack of brass 3mm cheesehead screws and ground down the head to a perfect fit by sticking the screw in the dremel and used a diamond shapening stone as a finer file. turned out beautifully. 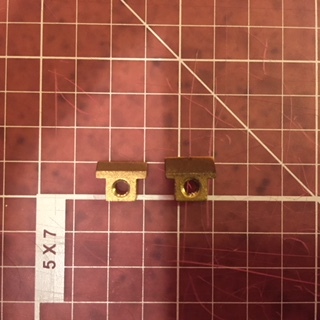 I looked at the dimensions on the Schaller website while the STM bridges are the right size, the actual mounting screws are shorter then the ones Westone used. Again, it's one of those nitpicky things that is maybe an easy fix. 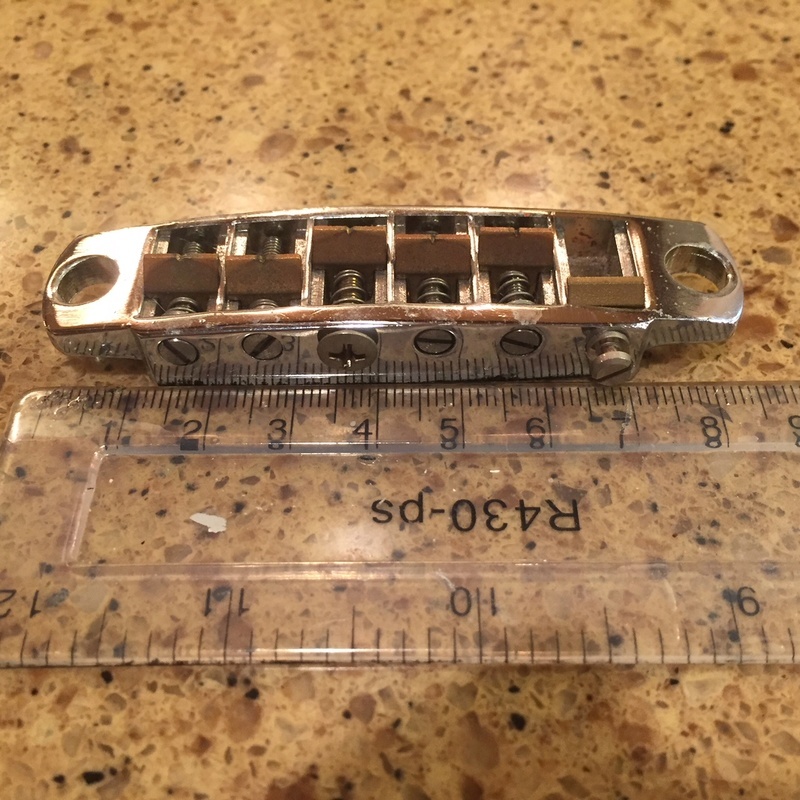 Funny, one little missing saddle, a couple of missing screws, opens the door to all these little hard to solve offset guitar problems. You use the whole caboodle, mounting posts and all. I tell ya, it's trying to match the stoopid little things like pickup mounting screws and intonation screws that drive ya crazy when you're restoring these Mats instruments.